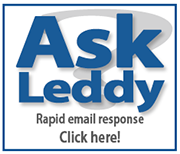 Leddy Research Question Competition - We have our Winners! Thanks again for everyone who participated and voted! We now have our winners. Keep your eyes open for a chance to participate in the UWill Discover conference this spring!